Great, Too Many Of You Saw THE BOY And Now They’re Making A Sequel To It | Birth.Movies.Death. William Brent Bell's The Boy is an absolutely ridiculous horror movie I would personally recommend to anyone who likes seeing bad ideas come to life; everyone else can probably go ahead and skip it. The film came and went in January of 2016 without making much of an impression, while also managing to rake in over $60M on the back of a $10M production budget. Usually this is where I'd tell you a sequel was inevitable, but really: outside of our own Brian Collins, when's the last time you heard anyone talking about The Boy? The story will revolve around a young family, unaware of the terrifying history of the estate into which they move, where their young son soon makes an unsettling new friend, an eerily life-like doll he calls Brahms." That's right! Brahms is back, baby, and this time he's got a whole new family to terrorize with his dead-eyed, profoundly un-scary stare. There's simply no telling what kind of hijinks Brahms might be up to this time: hiding someone's car keys, positioning buckets of water above open doorways, filling cigars with gunpowder - oh, man. Katie Holmes is in for it this time! 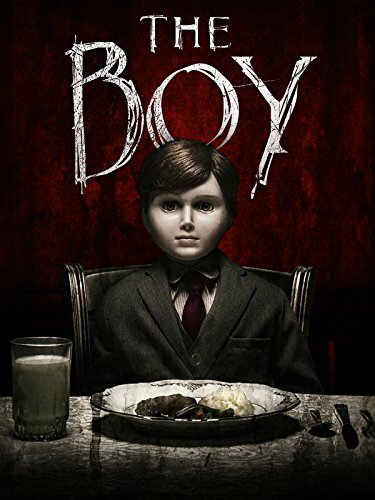 It's here that I'll point out that, in 2015, Craig Macneill (who went on to direct the excellent Channel Zero: Candle Cove) made another movie called The Boy, which was genuinely unsettling and featured a killer performance from its lead, Jared Breeze, as well as a surprisingly effective supporting turn from Rainn Wilson. That movie was great, and definitely worth seeking out the next time you're looking to have the skin crawl right off your body. I saw that one at SXSW in 2015, and caught a Q&A with Macneill where he said he had an entire trilogy of Boy movies planned out, should there be interest. No one saw it, though, so now Brahms is getting a second at-bat. Cool. Stay tuned for further updates on The Boy 2: Brahms Harder as they become available.